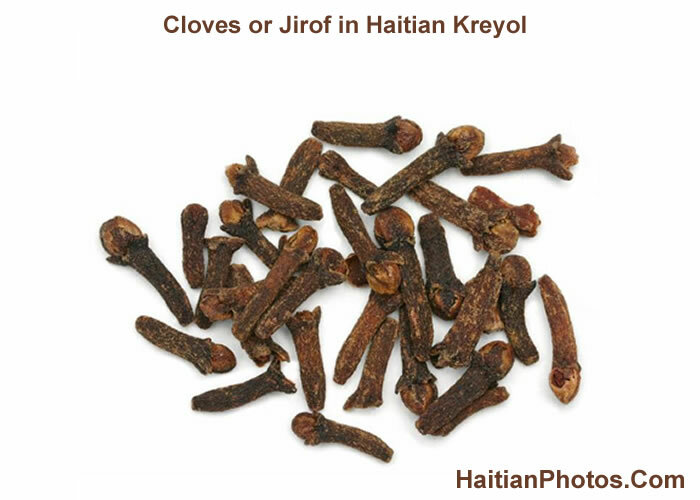 How many of you accidentally took a bite of cloves in eating some diri ak pwa and scream because it tasted so bad?Cloves or Jirof is one of the most commonly use spices in Haitian diet. It is often used for flavor when making some popular Haitian dishes such as diri ak djon djon, mayi moulen, griyo (for some), Kremas, etc. It is said to be good for your kidney, spleen and stomach meridians. It can be used to treat hiccup and to fortify the kidney yang. Cloves is used in formulas for impotence or to clear vaginal discharge from yang deficiency, for morning sickness, vomiting and diarrhea. Cloves may be used for hypotonic muscles, including for multiple sclerosis. Don't feel too bad about the taste as there are many health benefits in eating Cloves or Jiro. .Good source of vitamin K and dietary fiber, and a good source of iron, magnesium, and calcium. Based on Sanator Margolis remark it is obvious that she regards Haitians as sub-humans. Haitian Jiroff man is man out of this world. How about when you are enjoying a good Haitian dish, then the damn Jiroff shows up lol. They are so snickey and hide so well in your haitian food thath sometime it becomes impossible to find them. Don't you feel that The Jiroff tend to gravitate toward you. In my case i believe it is superstitious. Scientists are quickly discovering that Cloves is one of the best cancer treatments available. Cancer-fighting foods offer a safer way to treat cancer. Cloves is very good to put in your food and thath is why many Haitians grow up to be healthy, considering the problem with health care and etc in Haiti. Cloves provides aid in digestion. For a country like Haiti, it provides antimicrobial properties. It has capacity to fight against cancer.